We are a Top 1% Super Elite Preferred Provider and one of the largest Invisalign practices in the state of New Jersey! You may wish to explore options other than traditional braces. Call or visit our Freehold, Manalapan, or Hightstown offices to find out if you are a candidate for Invisalign! At Brace Place Orthodontics, our doctors are highly experienced with Invisalign treatment. 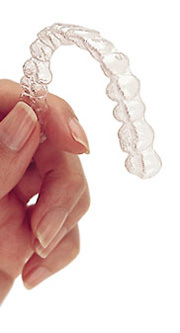 Clear, custom-made aligners are created specifically for your teeth. You'll wear each aligner for approximately two weeks, then replace it with the next in a series of aligners designed to move your teeth incrementally to achieve the final, beautiful result. Since 1999, Brace Place has quickly become one of the leading providers of Invisalign. They are one of a select few of Top 1% providers in New Jersey, successfully completing more than 3,000 cases. So invisible, you'll be the only one that knows. No braces. Nothing to inhibit your lifestyle. No impression die necessary with our new 3D scanner. YES, SHE IS WEARING BRACES! Invisalign is practically invisible. In fact, very few people will notice at all—unless you tell them. They're comfortable to wear and remove easily when you eat, brush, and floss. Who would you send your loved ones to? This marks the eighth consecutive year that Dr. Joshua Z. Epstein, Dr. George Sargiss, and Dr. Brad Elkin of the Brace Place have been named New Jersey Monthly Magazine Top Orthodontists*. 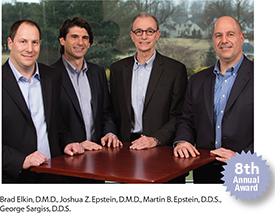 Dr. Martin B. Epstein was named Top Orthodontist for the seventh consecutive year, as well. This achievement was made possible with the help of colleague Dr. Sonalee Kapoor, along with an outstanding team of Brace Place dental professionals. *To create its Top Orthodontist list, the Polling Institute at Monmouth University sent ballots to the state's practicing dentists asking them who they would send a loved one to. The results were reviewed and tabulated and the list was published in the New Jersey Monthly Magazine July 2015 issue.